Keith McGreggor is a Professor of the Practice in the School of Interactive Computing in the College of Computing at Georgia Tech. His research explores artificial intelligence, visual reasoning, fractal representations, and cognitive systems. Keith is the Associate Director of the GVU Center, which inspires and enables interdisciplinary research in people-centered computing technology, creating new innovations for society. He is the Director of Georgia Tech’s VentureLab, the nation’s #5 university based incubator, with more than 140 active startups based on Georgia Tech’s technology. 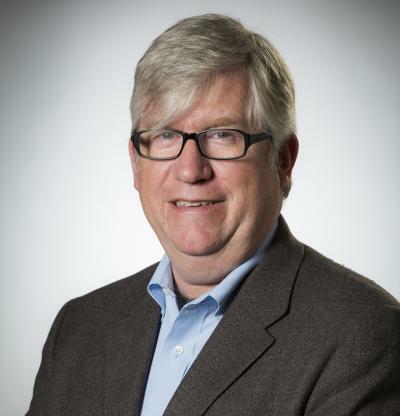 He is the lead instructor for the National Science Foundation (NSF) Innovation Corps program, executive director of the I-Corps South Node, and is an internationally recognized leader in entrepreneurship education. Keith has been an entrepreneur for the last three decades. His first company, Artificial Intelligence Atlanta, was the first AI company in the southeast, which led to a gig in robotics for Lockheed. He has been a founder or co-founder of six software companies. Keith wrote and shipped the first 3D program and first color paint program for the Macintosh. He developed the color architecture for the Macintosh, wrote substantial portions of the graphics system, and managed the graphics group at Apple Computer in Cupertino. A stint as co-founder of an internet company in the mid 1990s led to Keith becoming a director of engineering at Yahoo in 1999.